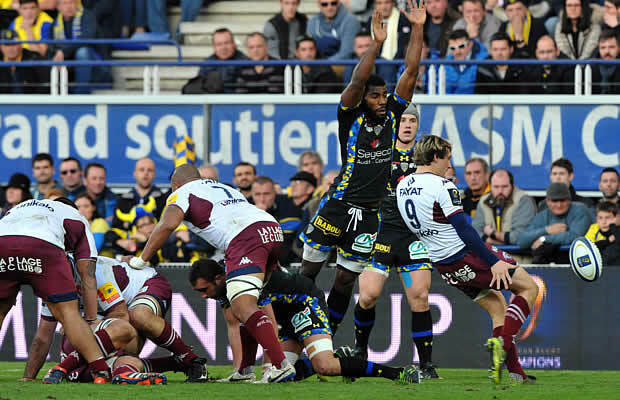 Clermont vs Bordeaux made history by becoming the first team to beat Clermont Auvergne at Stade Marcel-Michelin in European rugby since 2008 when they beat their fellow French opponents 28-37 in the European Rugby Champions Cup. Bordeaux’s victory whilst history making was not enough for them to qualify for the quarter finals and both teams have been eliminated. Exeter Chiefs started the day third in Pool 2 but scored five tries to earn a bonus point in beating Ospreys 33-17 at Sandy Park. That result took Ospreys from top of the group to third and left last year’s runners-up Clermont favourites to progress. But they lost at home in Europe for the first time since 2008 to finish bottom of the pool as Bordeaux-Begles came away with a scarcely-believable success. Clermont actually had a last gasp penalty in front of the posts that if converted would have given them the losing bonus point that took them into the quarter-finals, but scrum-half Morgan Parra took a quick tap penalty and Clermont were held up over the line. “On the pitch things happen so quickly and I didn’t know what was going on elsewhere (at Exeter),” said Parra. Clermont got off to a blistering start scoring two converted tries in the first three minutes through Wales centre Jonathan Davies and wing Noa Nakataici. They had an attacking bonus sewed up just after the hour mark as forwards Damien Chouly and Paul Jedrasiak also crossed for tries. But by then Bordeaux, who could also have qualified with a bigger margin of victory, had stamped their authority on the match. South African Berend Botha and Sebastien Taofifenua tries, coupled with some faultless kicking had given them a 20-14 lead on 47 minutes, only for Clermont to storm ahead 28-20. But tries from Paulin Riva and Peter Saili put them back in front and Pierre Bernard’s penalty three minutes from time denied Clermont the losing bonus that would have seen them top the group instead of finishing bottom.